Join us every Tuesday morning at 11am for weekly playgroup. 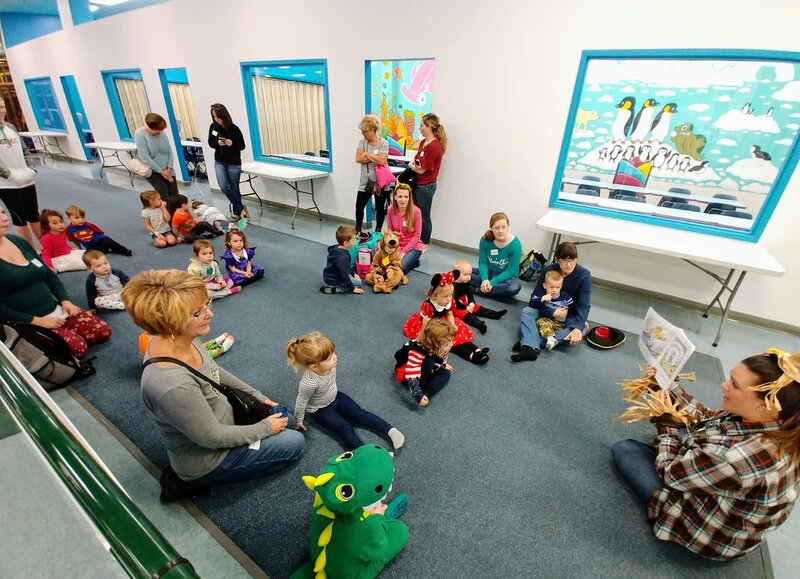 Best for ages 2-5 (although any kids not yet in school are welcome to join in), weekly playgroup includes a short story, craft or activity, small snack, and new friends! No cost other than the usual $8 admission price per child. No need to preregister—simply show up a little early and let us know at check-in that you’ll be joining in. For 2019, weekly playgroup runs until May 28 before taking a break for summer and will then resume at the end of August.